Your first-choice window cleaning service in Coleraine. 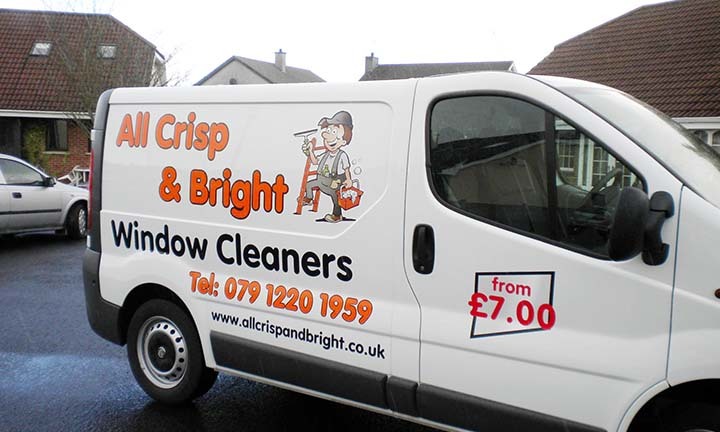 At All Crisp And Bright Window Cleaning we take great pride in our reliability, professionalism, integrity and customer care. We’re also very safety conscious and have invested in a state of the art pure-water high reach cleaning system, which as well as always leaving a sparkling finish, allows us to reach awkward windows without using ladders at all! We offer professional cleaning services for private homes, apartment blocks, offices, schools, hotels, factories, industrial units and much more. We carry full public liability insurance for your peace of mind and ours. Just ask and we can supply a copy of our documents. We have years of experience in the cleaning industry and have discovered some innovative solutions for cleaning high or awkward areas. Our pure water cleaning system uses no chemicals or detergents at all! That means its safe for you, your pets and any plants under the windows.